Behind GoVivace Inc. are the people who eat, breathe, and sleep speech technologies. We develop speech recognition, speaker identification, voice authentication, speech synthesis, and analytics, gender identification, language identification, and audio indexing software… get the drift? Our services don’t stop at delivering standard solutions. We’re passionate about speech, remember? So we get you talking about your needs and we listen closely to understand exactly what these are. And if you think of it, who could comprehend you better than specialists in speech recognition? Then, we tailor our offerings to exactly match your needs. In our business, this is called localization and customization of products. It’s tedious (for us, you call the shots) process of creating a dictionary and grammar listing shoptalk words and phrases pertaining to your industry. The upshot of our efforts could be hands-free operations for you and your staff, faster customer servicing, a leaner customer care team, better customer engagement from smarter offer-making, and more. Essentially, our work improves your work productivity. We have worked with media companies, yellow pages service providers, security and information mining companies, telecom companies, and so on. Read on to know us better. Goel is passionate about speech processing technology and would like to see speech recognition, synthesis, and identification technologies being applied to greater effect in improving systems and their productivity across verticals. 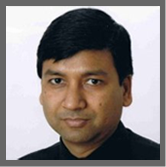 Nagendra Goel has been CEO of GoVivace Inc. since 2009. He brings to the table the scientific expertise and sound understanding of customers’ needs required to manage and provide technical leadership to GoVivace’s engineering team. His strength is his love for detail and precision while not losing focus on the big picture. Prior to joining GoVivace, Goel co-founded and led the technology team of EnableDoc LLC, a company developing affordable, web-based electronic health records and practice management solutions for physicians. Over four years, he worked closely with clients to quickly adapt the web-based software to solve their day-to-day problems and deploy new technologies to introduce advanced features. He has also had productive stints with Apptek Inc. and Net2Voice Inc. where he was responsible for the development of speech recognition products. Previous experiences span product development for LSI Logic, the IBM T J Watson Research Center, Entropic Inc., and Telogy Networks. Goel is passionate about speech processing technology and would like to see speech recognition, synthesis, and identification technologies being applied to greater effect in improving systems and their productivity across verticals. Text processing, VoIP, SaaS and healthcare technologies are his other favorite technologies. He also digs Indian classical music, photography, and gliding. He even holds a glider pilot license, albeit he hasn’t indulged this interest in recent years (too much work, you see). Goel holds a B.Tech degree in Electrical Engineering from Indian Institute Of Technology, Kanpur. He received his doctoral degree from The John Hopkins University, specializing in speech recognition and language technology. Dr. B.Yegnanarayana is an INSA(Indian National Science Academy) Senior Scientist and Microsoft Chair at International Institute of Information Technology (IIIT) Hyderabad, Andhra Pradesh, India. He is an eminent professor and is known for his contributions in Speech signal processing and related areas. He has supervised about 30 Ph.D. thesis, 42 M.S. thesis, and 65 M.Tech projects, and currently guiding about 10 Ph.D. students. Dr. Yegnanarayana was an Associate Editor for the IEEE TRANSACTIONS ON SPEECH AND AUDIO PROCESSING from 2003 to 2006. He is a Fellow of the Indian National Academy of Engineering, a Fellow of the Indian National Science Academy, and a Fellow of the Indian Academy of Sciences. He was the recipient of the Third IETE Prof. S. V. C. Aiya Memorial Award in 1996. He received the Prof. S. N. Mitra Memorial Award for the year 2006 from the Indian National Academy of Engineering. Dr.Yegnanarayana received the B.Sc. degree from Andhra University, Waltair, India, in 1961, and the B.E., M.E., and Ph.D. degrees in Electrical Communication Engineering from the Indian Institute of Science (IISc) Bangalore, India, in 1964, 1966, and 1974, respectively. He was a Visiting Associate Professor of computer science at Carnegie-Mellon University, Pittsburgh, PA, from 1977 to 1980. He was a member of the faculty at the Indian Institute of Science (IISc), Bangalore, from 1966 to 1978. 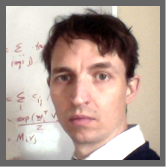 His research interests are in signal processing, speech, image processing, and neural networks. He has published over 300 papers in these areas in IEEE journals and other international journals, and in the proceedings of national and international conferences. He is also the author of the book Artificial Neural Networks (Prentice-Hall of India, 1999). An indefatigable enthusiast of speech recognition technology, Povey has to his credit pioneering work on “discriminative training” of Hidden Markov Models for speech recognition, having developed many of the standard techniques. Dan Povey was appointed Associate Research Scientist at the Center for Language and Speech Processing at the Johns Hopkins University in 2012. Povey researched speech recognition at Microsoft and IBM between 2003 and 2012. An indefatigable enthusiast of speech recognition technology, Povey has to his credit pioneering work on “discriminative training” of Hidden Markov Models for speech recognition, having developed many of the standard techniques. He is currently occupied with finding ways to represent generative models more compactly (such as the Subspace Gaussian Mixture Models approach), for purposes of more robust parameter estimation. Developing the open-source Kaldi speech recognition toolkit is another Povey passion, which has given him a thorough understanding and practice of speech recognition technology. Povey earned a doctorate from Cambridge University in 2003. He also acquired a BA in Natural Sciences Tripos from Cambridge.